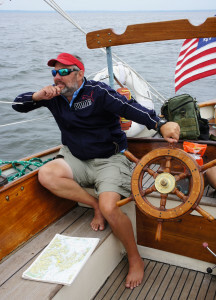 The Lady Patty is a canoe stern ketch designed by Philip L. Rhodes in 1931 and built at the M.M. Davis shipyard in Solomons Island, Md. in 1935. 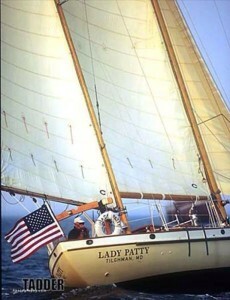 The Lady Patty was sailed extensively throughout the Gulf of Mexico and The Caribbean Sea winning her share of club races. She entered the St. Petersburg, Fl. To Havana , Cuba race in 1938 and again in 1951 winning the latter. The entire yacht, from the rub rail up is the original Lady Patty. 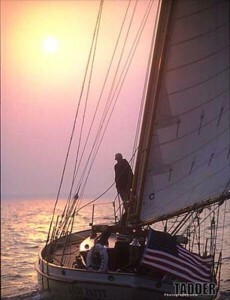 Her Sitka Spruce masts soar to 56' above the water and are supported by numerous hand-spliced stays and shrouds. The original teak decks have been splendidly restored including refastening with over 1400 bronze screws and 2200 feet of caulking. The original bronze hardware is in place and serving well. On a normal sailing day we carry about 1000 sq. ft. of sail and our guests are treated to an experience which cannot be duplicated on a modern yacht. In addition to the scheduled two-hour charters Lady Patty is available for private or corporate trips of two-hour, half-day and full-day durations. Let us help to make your anniversary, honeymoon or wedding an unforgettable experience with a private charter for you and your guests. 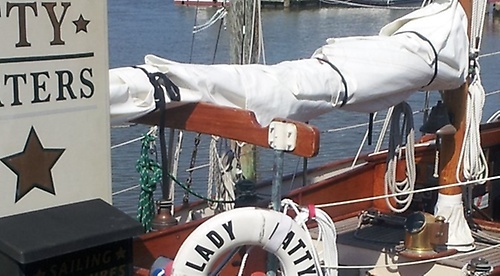 Come sail away aboard the classic sailing yacht Lady Patty. Five Star rating on Tripadvisor.com!